We are a dynamic transportation provider committed to quality, safety, and customer service. Meeting delivery deadlines, delivering goods in perfect condition, and ensuring customers have access to up to the minute route data encompasses just a snapshot of Lightning’s daily accomplishments. We intend to exceed our customer’s expectations to ensure Lighting Logistics, LLC is the only transportation company you trust. 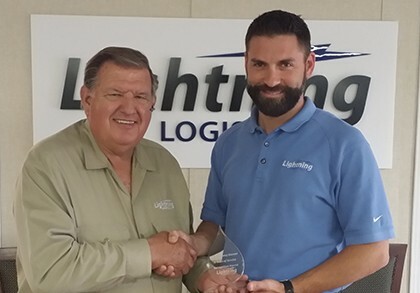 At Lighting Logistics, LLC our vision is to create a profitable and sustainable transportation and logistics services business model that creates opportunities for the people in our sphere of influence; customers, employees, drivers, and vendors, to prosper in all facets of their lives. Our Mission is to become the number one transportation and logistics services provider in Houston, Texas by offering our customers a best in class transportation solution which specializes in time definite, mission critical freight. 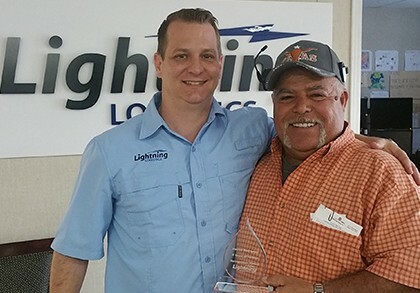 At Lightning Logistics values are not just buzz words – they help form the foundation for how we run our business. They serve as the guide for how we plan, implement, and execute our business strategies aimed at fulfilling our vision and mission. Take some time to click on the Values below to learn more about what makes us tick. To act according to moral and ethical principals. Perhaps our most important value, here at Lightning we strive to operate with integrity in everything we do. Operating with integrity is what has allowed us to prosper over the past five years and quickly gain a reputation as the most reputable and trusted oil field hauler in the business. Integrity is what we say, what we do, and what we say we do. To keep a pledge or a promise. At Lightning Logistics we pride ourselves on keeping our pledges and promises. If we say we are going to do something, we do it – even when it hurts. We are committed to providing best in class transportation and logistics services to our customers, a challenging and rewarding work environment for our employees, and a lucrative business opportunity to our owner operators. To show polite regard and consideration. We believe that respect brings the best our in people. As a result we go out of our way to ensure we respect our customers, our employees, our drivers, our vendors, and anyone else within our sphere of influence. We also carry over our respect value into our safety. We put great emphasis on our drivers respecting the material they are transporting and the roads that they are driving on. The drivers respect in this area saves lives. There is no other option. Respect a man and he will do all the more. The ability to work together and work effieciently as a group. Team work makes the dream work! At Lightning, team work is critical to our success. By working together with our customers, employees, drivers, and vendors we are able to provide best in class transportation and logistics services that gets material from point A to point B in the safest, most cost effective way possible. When we all work together with the end in mind, great things are possible! To create new ideas or new ways to apply an existing idea. At Lightning we are always striving to look for ways to do things more effectively and more efficiently. Everything from innovating ways to streamline internal processes to maximize productivity and efficiency to innovating ways to offer a better customer experience is our aim. We encourage our employees to operate with an ‘ownership’ mentality and we welcome feedback from our customers as to how we can better meet their needs. This right idea will fly. Lightning Logistics, LLC was founded on the principal that there is a greater purpose to commerce than just dollars and cents. We believe that people are the most valuable resource on this earth and that we have a responsibility to best steward our resources in a way that honors, empowers, and inspires the people we come in contact with on a daily basis. 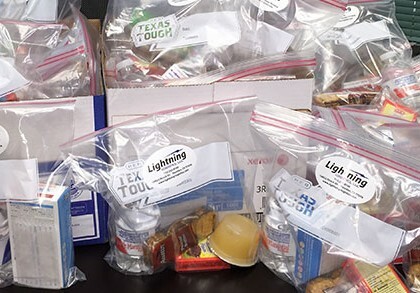 By being responsible and charitable with our assets, we are able to ensure our customers can count on us for smooth deliveries and provide a challenging and rewarding work environment for our employees and owner operators. In necessary things; unity; in disputed things, liberty, in all things, charity.